Waterworld Bundoran, Ireland’s Premier Indoor Aqua Adventure Playground, has once again been awarded the only White Flag for County Donegal. 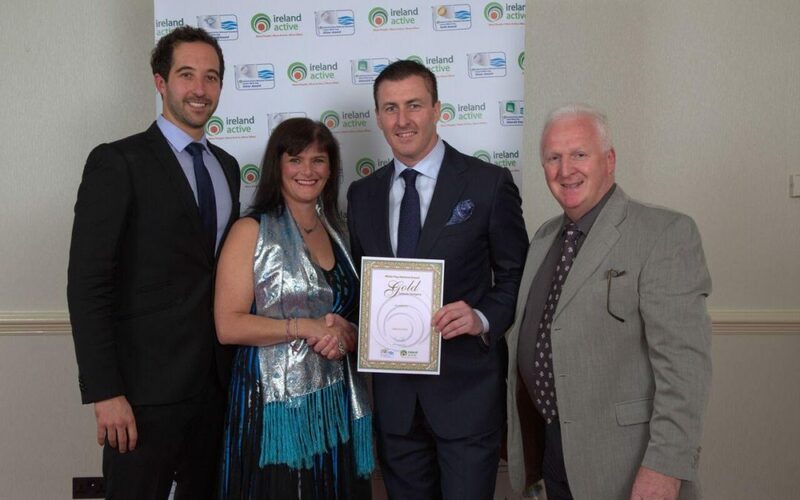 The Ireland Active ‘Gold Standard Award’ was presented to Waterworld General Manager Anderson Keys and Duty Managers Noreen Sweeney and Tom Losey at a ceremony recently in the Slieve Russell Hotel in Cavan. Chief Executive of Donegal County Council Seamus Neely and operators of Waterworld, said he was delighted with yet another award for its Bundoran facility. “The White Flag National standard is a best practice management framework to provide good quality facilities and services to the consumer in a safe and hygienic environment and I’m happy to say our facility in Bundoran has risen to that standard yet again. “This success is a fantastic way for staff not only to be acknowledged for the excellent job they undertake daily in this facility but also to be recognised amongst their peers in the industry,” he said. In 2016, Waterworld will celebrate its 25th year of operation in Bundoran.